Sherwood, WI (7/21/2018) - Countryside Auto Transport's Zac Zakowski scored a sixth- and a fifth-place finish during the Lucas Oil Midwest Short Course League SXS Pro Modified events at ERX Motor Park in Elk River, MN. The results during the two-race weekend propelled him to fifth in points. Zakowski qualified his Yamaha YXZ 1000R eighth for Friday’s race and did his best to make up ground in what became a wreck fest. Several caution flags resulted in officials shortening the race from 12 laps to just six. Despite the lack of time, Zakowski finished sixth. The track’s whoops section challenged many in the field. 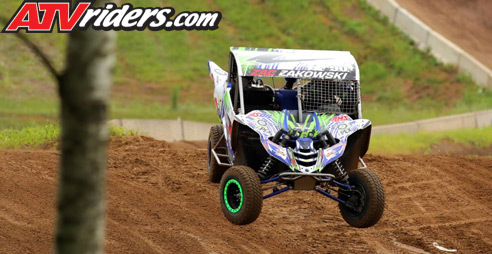 With suspension setup by Greaves Motorsports, Zakowski took the section with ease. The two solid finishes allowed Zakowski to move up to fifth in points. 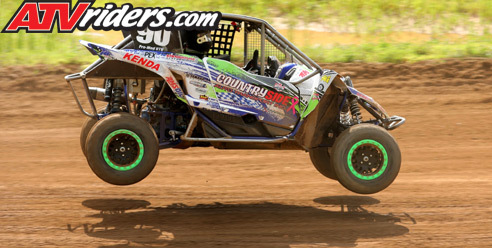 His goal is to stay in the top five when the series heads to his home track in Bark River, MI. Zakowski will return to the Midwest Short Course League during at Bark River International Raceway in Michigan. The race is scheduled for August 10-12.